Pan-Fried Dumplings, or Chinese Potstickers with shrimp and pork. They are a fantastic appetizer for every party, and can be ready in about 15-20 minutes. It only takes a trip to China Town to get me completely crazy about Chinese food for quite a long time after. 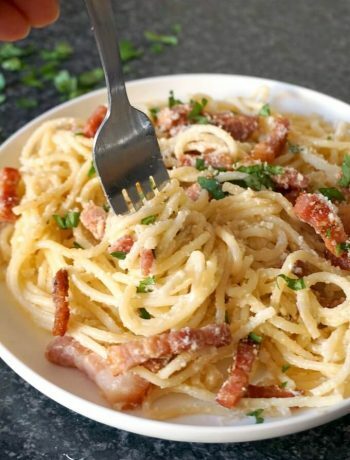 I have always liked this cuisine, but recently I have cooked various dishes, and I can’t seem to have enough of this yummy food. 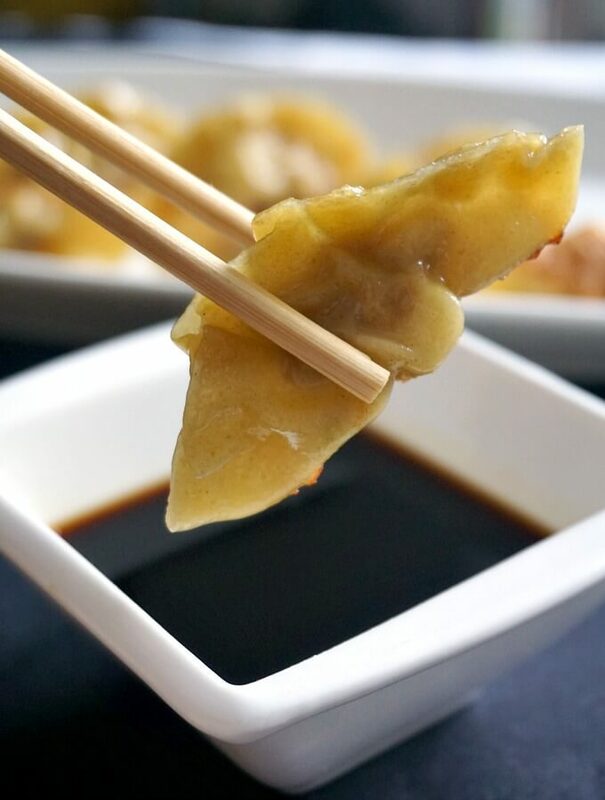 A few days ago I posted this fantastic 15-Minute Wonton Soup Recipe which was a big hit in my family, and now I have yet another mouth-watering Chinese dumplings. Party, family gathering, or just a posh appetizer whenever you feel peckish, you can never go wrong with them. These dumplings are so good!!! 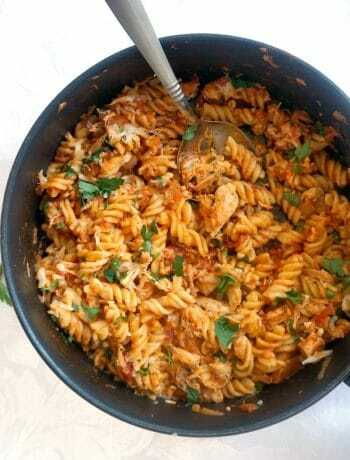 And you know what, no need to go crazy buying thouands of ingredients for make separate dishes. 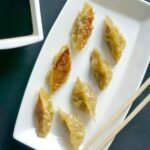 I have used the exact same ingredients I used for my wontons, but this time wrapped differently, and cooked differently, and you get a completely differest dish, and equaly amazing. Prepare to wow your guests with these bites, the very best you can ever taste. Imagine how much money you save as well, since just a few of these beauties will cost you dearly in a restaurant. And you will be left craving more and more. 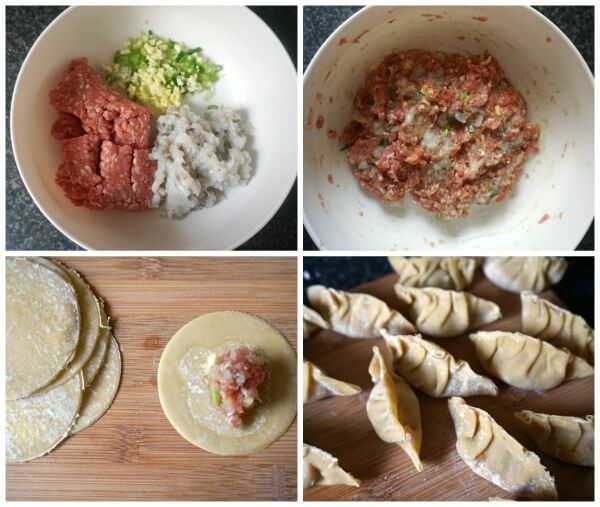 How do you make pan-dried dumplings? To make the filling, mix together the ground pork, finely chopped shrimp, chopped spring onions, garlic, ginger, soy sauce, oyster sauce, sesame oil, rice vinegar and oyster sauce. Fold the wrapper in half, then make a pleat in the top part of the wrapper, pinching it against the flat edge of the wrapper at the back. Make a few more pleats on the right side of the wrapper, then pleat on the other side now. It might sound complicated, but it’s actually a lot simpler to do it, than read about it. It’s like buying furniture that comes with complicated instructions. You actually figure it out yourself how to do it, rather than relying on super complicated instructions and photos that make no sense. Anyway, once you have the dumplings ready, fry them in a pan until the bottom is nice and crispy, then add water, place the lid on, and steam for 5 minutes until the water is evaporated and the dumplings are cooked through. I kid you now, you will feel like a Master Chef once you have these yummy dumplings in front of you. And, you won’t believe me that it’s my very first attempt at making these dumplings. The Japanese version of gyoza I believe it’s almost similar in technique, just the ingredients might be slightly different. But again, they all taste beautifully. But these delicious dumplings need a good dipping sauce. Nothing fancy, the simplest ingredients that are pretty basic when it comes to Asian cooking: soy sauce(s)- you can either go for plain soy sauce, or a combination of light soy sauce or dark soy sauce, sesame oil, and Chinese white wine vinegar. And that is all, the very best dipping sauce one can possibly get. 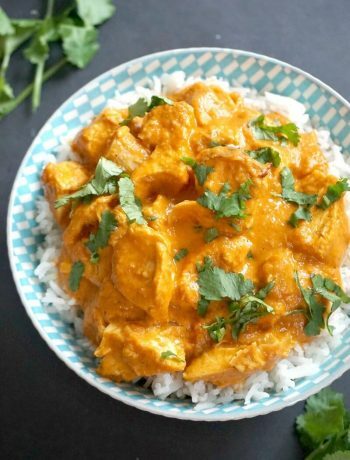 Easy peasy, tasty and just perfect with pretty much anything Asian that needs dipping. No more expensive and not-so-fancy take-aways, you can have your own party at home with cheaper, better quality food. Enjoy! 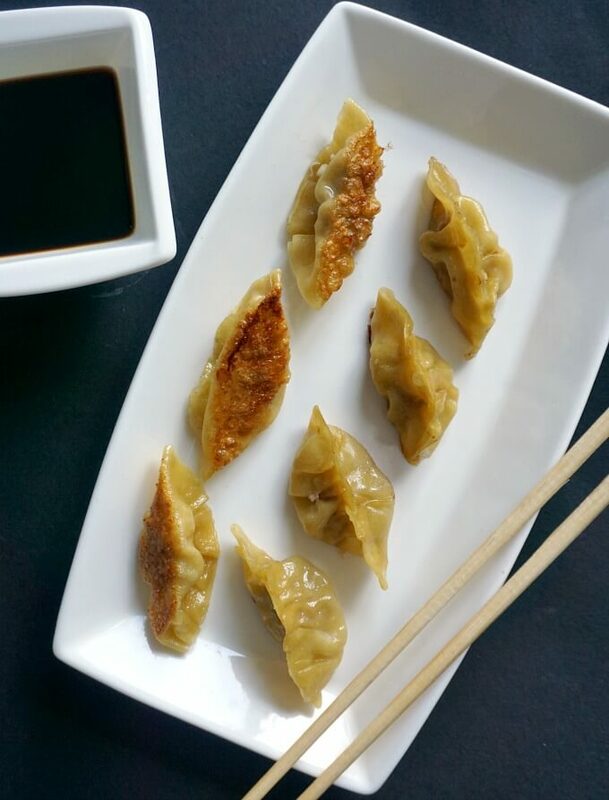 If you’ve liked the PAN-FRIED DUMPLINGS or any other recipe on the blog then don’t forget to rate the recipe and let me know how you got on in the comments below, I love hearing from you! You can also FOLLOW ME on FACEBOOK, INSTAGRAM and PINTEREST to see more delicious food and what I’m getting up to. 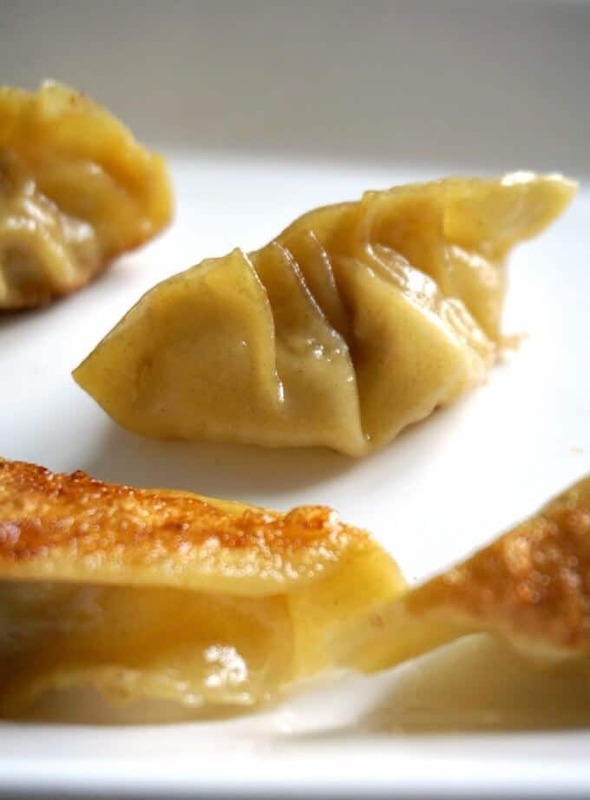 Pan-Fried Dumplings, the best Asian-style dumplings with shrimp and pork. They are a fantastic appetizer for any party, and can be ready in about 15-20 minutes. To make the dumplings, mix all the ingredients together. Get a wrapper, brush its edges with water, then add about a teaspoon of the filling, making sure you don't overfill. Repeat with the rest of the wrappers, until the filling is used up. Heat up the vegetable oil in a large frying pan, add the dumplings, making sure you don't overcrowd the pan. Fry for 3 to 5 minutes or until the bottom of the dumplings is golden brown and crispy, then add the water, place the lid on, and leave the dumplings to steam for about 5 minutes until the water is evaporated and the dumplings are cooked through. To make the dipping sauce, mix all the ingredients together, then stir.